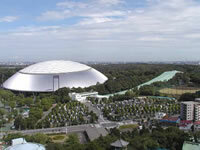 Tokorozawa city is the third in populationin in Saitama, Japan. 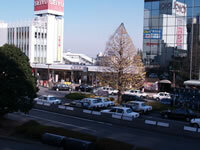 There are the Seibu Department Stores, Daiei, and Seiyu in the west side of the Tokorozawa station. Buses, bound for Narita International Airport and Kansai area, will be available from the east side of the station. As the bedroom suburbs of Tokyo, there are many houses in Shin-Tokorozawa and Kotesashi area. The Musashino Line will be available in East-Tokorozawa area. The Tokorozawa Festival, held in fall, is crowded with three hundred thousands of people every year. The festival includes parades with traditional songs, street entertainments, and the samba.